First impressions: everybody's saying "oh it looks like Mighty No. 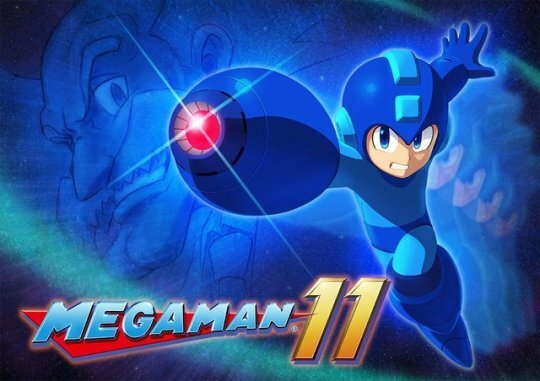 9 this is bad" but honestly I think everything from the level design to the music to the backgrounds and character designs are miles better than MN9 and ring true to Mega Man. Only real grievance is the run animation looks goofy but maybe that'll get ironed out. The devs sounded confident and proud of what they're doing so I'm going into this aggressively optimistic. Last edited by DarkZero on Mon Dec 04, 2017 5:04 pm, edited 1 time in total. It looks like they're maintaining the classic Mega Man gameplay, mechanics and visual identity. I approve. It looks great, I'm 100% on board. Mighty Number 9's problems were much deeper than the art style, so even if it looks somewhat similar, it still appears to be true to what makes Mega Man great. Color me surprised. I'll be watching this one out for sure. Probably an unrealistic hope, but I'll be purchasing hoping that maybe we'll get another shot at Legends 3 somewhere down the road. Here's an article that reveals a few things about the game. Some of it's obvious but there's some interesting stuff here like switching to specific weapons instantly by flicking the right stick at an angle. 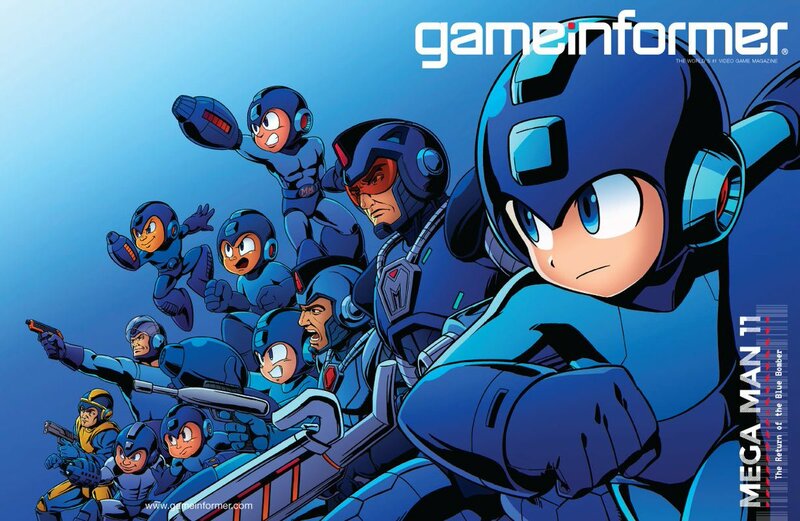 They even managed to make cover bad art megaman look kinda OK! Well, beggers can't be choosers. I'll try it. i still dont really understand how the double gear system is supposed to work? like it does things like slow down time or overcharge the buster and there seems to be a meter but what else does it do? and what does it have to do with the name? Do you think we should tell Capcom that 1987 was actually 31 years ago? You can't just have your 30th anniversary whenever you want it, guys. Game just came out, anyone else playing it? I just finished the 8 RM stages and I'm liking it so far. I plan on getting it for the weekend if some stuff works out. im on the fence about getting it right now. the demo was fun and i need some new switch games to play but idk, havent really been in a platformer mood lately. might pick it up a few weeks down the road. I want to finish X before I start another Mega Man series installment but I also want to support the series so I should probably just buy the X Legacy Collection for Switch and have that tide me over for a while until I can pick this up. Tundra Storm: With Power Gear this becomes an easy screen-clearer. Only the beefiest enemies can survive. Acid Barrier: The strongest shield in the series imo. On its own it blocks projectiles for a decent amount of time. Turn Power Gear on right before using it and you've got a shield that melts most enemies, and when it absorbs projectiles sends back several acid projectiles. But wait, there's more: if you press the shoot button while any shield is up you can fire acid projectiles for FREE. The only flaw I can see is a minor one: the boss that's weak to it doesn't get completely nuked by it. Pile Driver: It's an air dash with good energy usage and it can smash through most enemies including Sniper Joes and Gabyoalls (those annoying puck guys who go insane if you stand near them). With Power Gear it goes even further. Its one flaw is that if you hit a wall or a beefier enemy with it you'll use an attack that's pretty slow. Block is also decent but a bit overshadowed, as is Bounce. The last three weapons are kind of niche compared to the rest, though Blast at least sees a decent amount of boss use. Not having Bass in it at all is a pretty major letdown for me, I only even beat MM10 because of his DLC. I hope this one gets it too. Guess I shouldn't be complaining about what seems like a solid Mega Man game anyway though, all things considered.